Graham taught for thirty years in secondary schools, across all year groups. As co-ordinator in a Beacon School, he also worked closely with primary school staff within a large secondary school’s catchment area. During this time he also worked as a senior examiner for both general qualifications and vocational qualifications. He was awarded a Fellowship at the University of Warwick where he still teaches on the post graduate qualification in educational assessment. He left teaching to join QCA, the Qualifications and Curriculum Authority, where he was responsible for developing greater co-operation between Awarding Organisations, in organising accessibility arrangements as well as special considerations. He then moved to the NAA, the National Assessment Agency, where he was responsible for developing the Institute of Educational Assessors and oversaw the granting of Chartered status for this institute. He became a Chartered Educational Assessor and was for a time, the Chief Executive Officer at the CIEA. He is also the author of a variety of publications relating to educational assessment, including: Key Concepts in Educational Assessment (Sage, London, 2013). 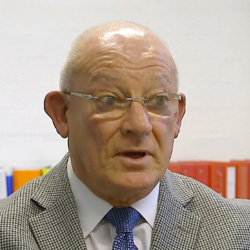 He has chaired numerous conferences, developing themes in educational assessment, and running a multitude of training courses on this topic across the United Kingdom, as well as in South Africa and, more recently, Australia. He has also worked closely with the NAHT, the National Association of Head Teachers, in developing its unique Curriculum and Assessment Framework which looks at how to develop systems that ensure the secure delivery and assessment of the new National Curriculum. He has run many courses for the NAHT on this topic to help teachers in schools to assess accurately without levels. Graham has degrees at both Masters and Bachelor levels and is committed to the development of effective assessment systems, nationally, locally and in individual schools. He believes that only by developing effective assessment systems can learners fulfil their true potential.